Oakey Creek is a source of fruit for many top Hunter producers. 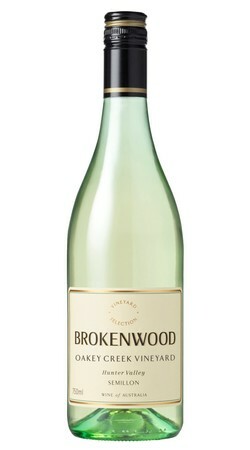 Fruit from this vineyard also goes into Brokenwood’s top Semillon, the ILR Reserve. 6 years old on release. The colour is just starting to change, but still displays a hint of the youthful green luminescence. Perfumed notes of nougat, lime cordial, lemon biscuit and sliced lemon grass. An archetype for Hunter Valley semillon: even with 6 years of ageing the acidity races through the talcy texture with fine smoky lime. Easily has another decade of cellaring potential.